We have a large range of Brush Cutters at Ovens Valley Chainsaws and Lawnmowers and are confident that we can find the trimmer to suit you. With experience and expertise in assessing your needs, we can recommend a product for you from our Brush Cutter range. Lightweight, comfortable and easy to use battery trimmer. Perfect for trimming lawn edges or smaller areas of higher, tougher grass. The intuitive keypad and instant start contribute to fast and trouble free handling, and the low noise level allows you to work without disturbing the surroundings. Includes battery and charger. A lightweight and high performance trimmer for professionally oriented users. Perfect for gardeners, landscapers and contractors. Features excellent ergonomics and balance, 2-way rotation trimmer head and long-lasting brushless motor. Price includes Trimmer $499, BLi150 Battery $249 and QC330 Charger $199. Components also sold separately. *GST is still applicable to the purchase / sale of the Husqvarna products that are part of the ‘SAVE THE GST*!’ campaign. Applicable models are 122C, 122LK, 125BVX, 122HD45, 122HD60. The discount applied is equal to the GST component. 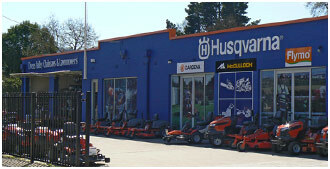 Offer valid 1 February – 31 March 2016 while stocks last, at participating Husqvarna Servicing Dealers. Lightweight multi purpose combi trimmer, perfect for homeowners. Easy starting with Smart Start® recoil system. Also features Auto return stop switch, a low noise engine and a detachable shaft for “click on” attachments. Effective combi machine with 4-stroke engine, detachable straight shaft, bevel gear and loop handle. Easy to start with air purge and Smart Start®. Husqvarna 324LDx is a combination machine, developed for many different types of jobs. Several attachments are available as accessories.